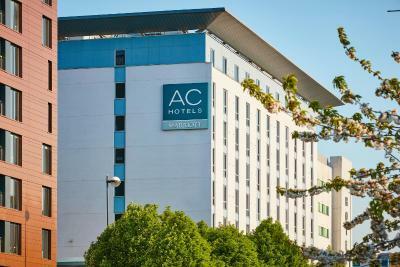 Lock in a great price for AC Hotel Manchester Salford Quays – rated 9 by recent guests! Very convenient for Old Trafford (walking) and city centre(via tram). 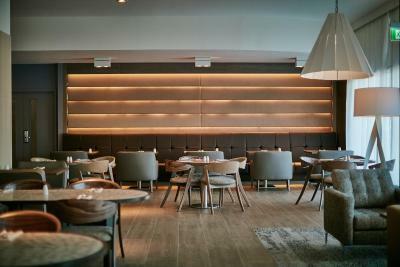 Very comfortable room and nice food in the restaurant. Very good service. Its comfy and very close to tram station. There are few restaurants just opposite the hotel and it has a parking also. Good size room with a fridge. The staff were friendly and very helpful. It's close to the canals so there are good restaurants in the area. Spacious double room,cleanliness,excellent value for money buffet breakfast,all staff encountered courteous,friendly and professional. Very little. At least at checkout they comped us the parking to make up for the room. The clerk at check-in tried to pretend all was normal when we told her we would not have accepted the room had we known its true configuration. The hotel located just 2 mins away from Salford Quays tram station, clean and modern. Really enjoyed the whole stay, the staff were all really lovely and made the time to chat with us. I had a Deluxe Superior Room after an upgrade and the view was Quay Side - it was all amazing! 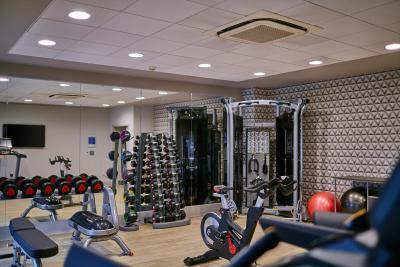 AC Hotel Manchester Salford Quays This rating is a reflection of how the property compares to the industry standard when it comes to price, facilities and services available. It's based on a self-evaluation by the property. Use this rating to help choose your stay! 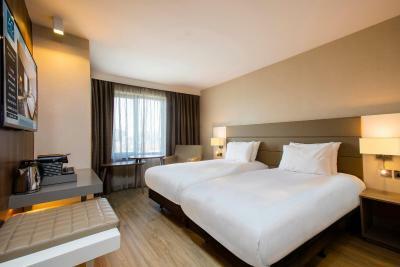 One of our top picks in Manchester.Overlooking Salford Quays, AC Hotel Manchester Salford Quays, A Marriott Lifestyle hotel is just 1 miles from the recently developed Media City UK. 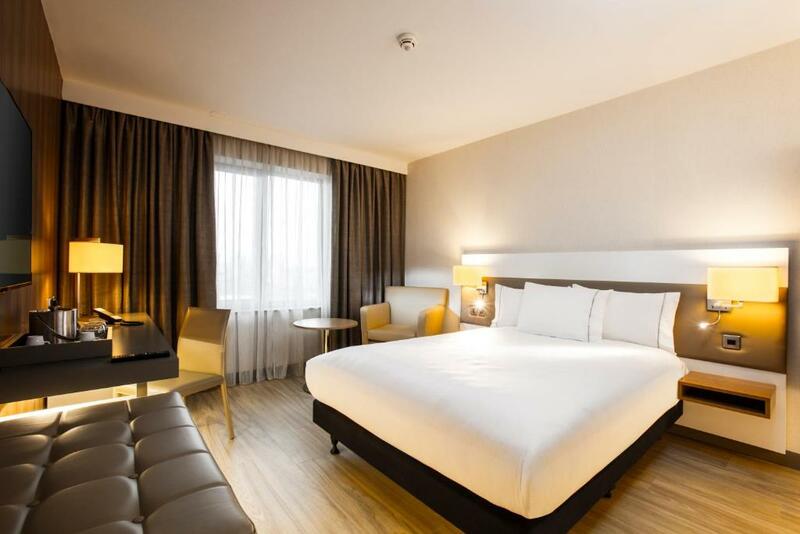 This 4-star hotel offers 24-hour room service and complimentary WiFi throughout. 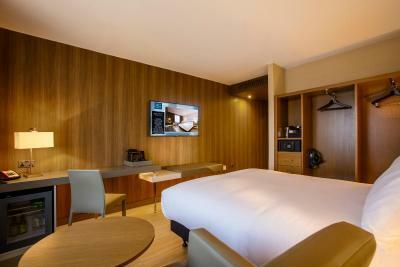 The rooms are spacious and modern and feature a satellite TV, pay-per-view movies, and a work desk. 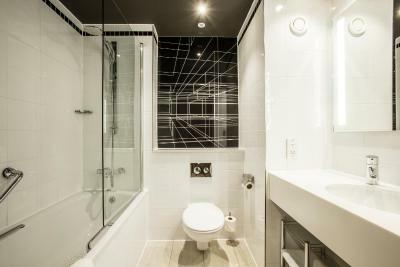 The bathrooms have baths, power showers and complimentary toiletries. 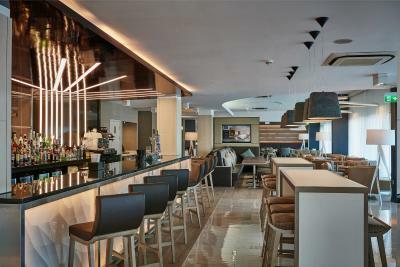 The hotel offers a bar and restaurant with food served throughout the day. A continental breakfast is available each morning. Limited parking is available at the hotel on a first-come, first-served basis and is chargeable at GBP 7.00 per car, per night. Alternative parking is available across the street from the hotel. 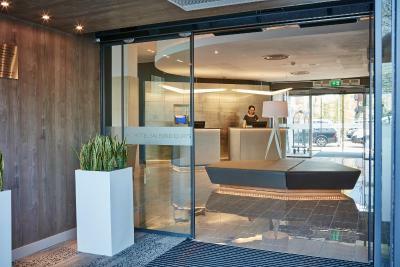 AC Hotel Manchester Salford Quays is 2 miles from the bustling main street of Deansgate. The Old Trafford football stadium and The Lowry theater are both a 15-minute walk from the hotel. Manchester Piccadilly train station is 3 miles away. 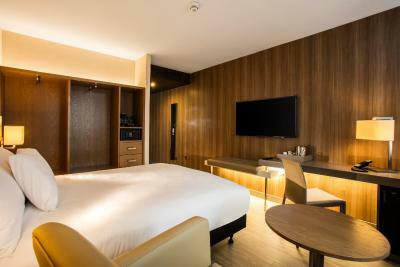 When would you like to stay at AC Hotel Manchester Salford Quays? This twin/double room features a electric kettle, mini-bar, still and sparkling water and air conditioning. This double room has an electric kettle and mini-bar. This room has a Nespresso coffee machine, still and sparkling water, 2 alcoholic beverages. 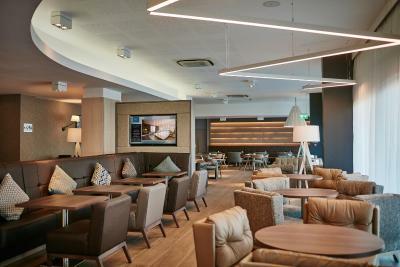 AC Hotels by Marriott is a design-led lifestyle brand which originated in Europe, aimed at the creative, well-travelled guest. 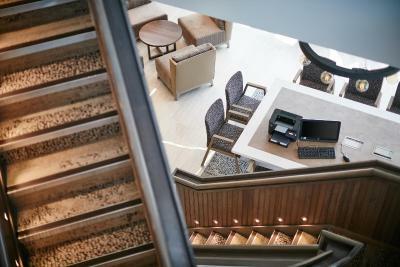 Each AC Hotel is designed to reflect the uniqueness and character of its urban location. 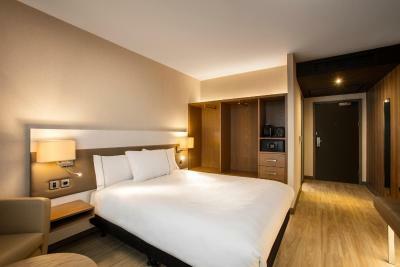 AC Hotel Manchester Salford Quays is one of the very first of its kind in the UK and offers a new way to stay and explore. Hotel surroundings – This neighborhood is a great choice for travelers interested in soccer, convenient public transportation and friendly locals – Check location Great location - show map Guests loved walking around the neighborhood! 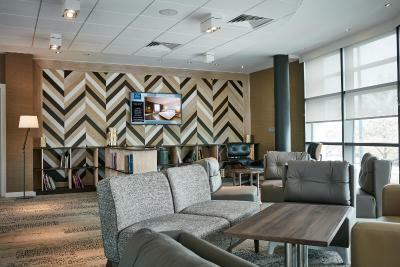 House Rules AC Hotel Manchester Salford Quays takes special requests – add in the next step! 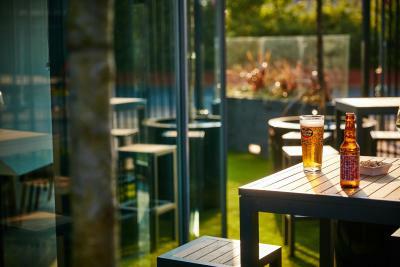 AC Hotel Manchester Salford Quays accepts these cards and reserves the right to temporarily hold an amount prior to arrival. Breakfast is served Monday to Friday from 06:30 until 10:00, and on Saturday, Sunday and Bank Holidays from 07:00 until 11:00. Room service is available, though not at breakfast. Please note that parking is very limited and costs GBP 7 per 24 hours with spaces available on a first-come, first-served basis. There is ample parking available across from the hotel in Capital Quay. Please note the credit card that was used at the time of booking an advance purchase rate must be presented at the time of arrival along with photo identification. The only thing that I was disappointed with that in the room there is a desk to sit at to be able to dry your hair, put makeup on, except you would not be able to as there isn't a mirror. To do these things you would either have to sit on the floor to look in the mirror on the door or use the bathroom mirror, both uncomfortable. The staff upon check in and check out were very friendly and welcoming. The bar area was lovely. breakfast was excellent , room facilities 1st class outstanding value for money. Shower and room amenities were really good! Clean, comfortable and good staff. Really good shower. we had a slight issue getting our fridge refilled, as we don't drink and requested soft drinks (we upgraded to superior for 20 GBP extra a night), but this was minor. Cute little touches, perfect for Old Trafford visits, bed was lovely, all staff friendly. Immaculately clean. View from 807 was amazing. Staff went above and beyond for my boyfriend's birthday.